The gist: Turns out those e-scooters aren’t exactly street legal, according to state law, at least not clearly. 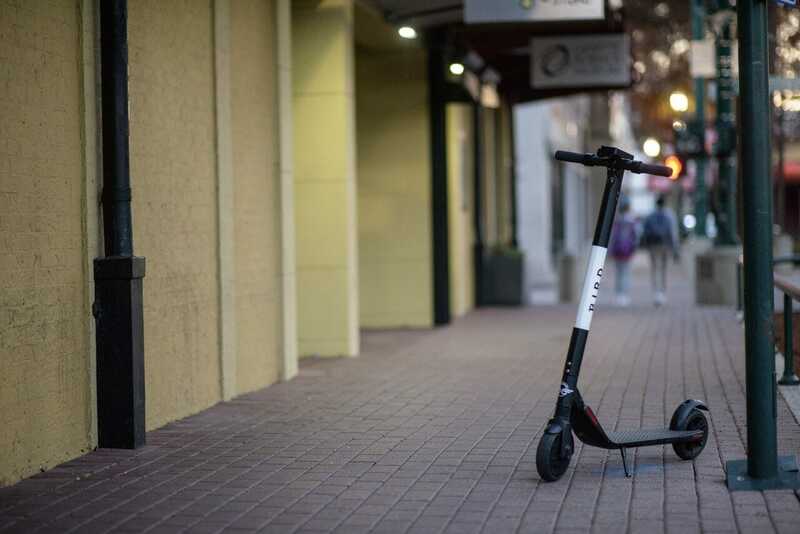 Bird and Lime agreed to take the scooters off the streets until legislation can clear a legal pathway for them to continue service. When a scooter is a motorcycle: Ambiguities in state law may inadvertently define the electric scooters as a motorized vehicle and thus regulate them like rascals, mopeds, motorcycles. Viewed that way in the eyes of the law, the scooters may be prohibited from sidewalks (Bird and Lime say the scooters shouldn’t be on sidewalks, anyway) or from riding the streets without registration and titling. The state definitions predate the shared mobility rage, a phenomenon that took cities by storm in the last couple of years with free-standing, app-enabled bikes and scooters. In other words, it’s more or less an accident of history that Bird and Lime may run afoul of statutes like this one from 2005. What if we call them something else? 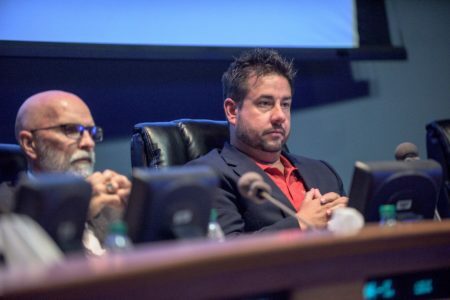 In an email sent to Mayor-President Joel Robideaux over the weekend, Lime representatives suggested calling the scooters “motorized novelty vehicles” as a workaround. The loophole accommodates Segways, for instance. The semantic solution was apparently considered in New Orleans before city officials ultimately decided — “for political (not policy) reasons,” according to Lime reps in the email exchange — not to let the companies operate there. Scooter companies first encountered the state issue in approaching New Orleans and have worked to find a state-level solution since. 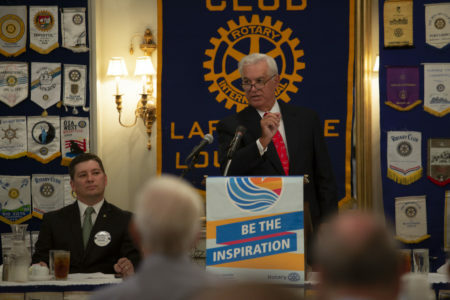 “Simply using a newly defined name falls short of a workable solution on our end and does not change the fact that current State law would still consider them a vehicle which cannot be operated on sidewalks or any street without the required equipment, ” Robideaux replied in an email to Lime reps.
Robideaux raised the legal issue two weeks ago in remarks to the City-Parish Council, suggesting the administration has been grappling with what it now views is a cut and dry prohibition. Robideaux has taken a cautious but friendly posture to the scooter companies since they arrived in early December, working to develop a policy framework that would allow them to stay long term. State law, however, trumps local law. In other words, Lafayette can’t be more lenient than the state in regulating the scooters. It’s unclear how long the administration, which has not responded to a request for comment, has been aware of the statute. UL threatened to impound scooters left on campus back in December, shortly after the fleets landed. Students were told not to ride on sidewalks and were ordered to park them in bike racks. Please leave before we kick you out. 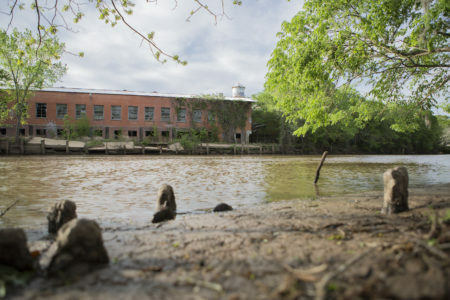 In letters delivered to Bird and Lime, Robideaux asked the companies to “stand down” voluntarily rather than face cease and desist orders. The companies will have to pull approximately 100 or more scooters scattered around the city but mostly clustered around the urban core. Some cities have taken to impounding the scooters when Bird, Lime and other operators have been slow to leave when asked. The companies have tended to pounce on new markets unannounced, part and parcel of a disruption ethos among Silicon Valley outfits, and have faced backlash from some communities and welcome in others. That strategy seems to be changing as the element of surprise has dissipated. Now rideshare companies are commonly working with municipalities to design agreements ahead of deploying the scooter fleets. What to watch for: If this is truly a pause or something more final. Legislation, at its earliest, would be available in late spring. Locals have had a love-hate relationship with the devices. Some see them as a nuisance, even a safety hazard, taking issue with teenagers zooming on Downtown sidewalks, in clear violation of Bird’s and Lime’s own user instructions. Others view them as a useful mobility tool able to provide quick and convenient access for short trips, addressing a major cause of traffic in urbanized areas. LCG has made clear its intent to find a way to keep the scooters here. But it’s an election year, and public opinion on the scooters has hardly been uniform.